We consider rescue skills to be an essential part of every diver’s education. The SSI Stress & Rescue Course builds confidence by making you comfortable with your ability to assess and handle diving emergencies. 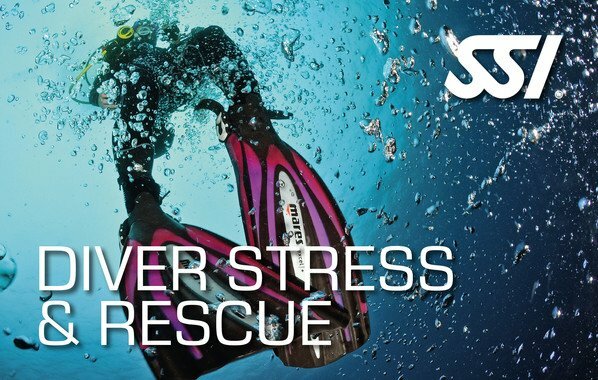 Equally as important, Stress & Rescue explains the factors that contribute to diving emergencies, including what causes stress and panic, and how to identify and avoid them all together. Learn what to do to prevent an emergency and keep you and your buddy from getting into trouble. Even if you are comfortable with your ability to keep yourself out of trouble, knowing what to do in an emergency may someday save your life or the life of another diver. The number one response from divers, new and veteran, is that they feel a new sense of confidence after this course. The course consists of a classroom session Saturday morning, followed by a pool session on Saturday afternoon, and three ocean dives on Sunday. Prior to coming to class, the SSI Digital Stress & Rescue Course work must be completed. The course fee is $280, this includes your instructor’s time for classroom, pool and ocean dives, access to the SSI Stress & Rescue digital media and SSI registration fees, and digital certification card. The optional plastic certification card is $15. As with all of the diving you do and specialty courses you take, the Stress and Rescue specialty can be added to your Advanced Open Water Diver or Master Diver ratings as you build on your levels of experience!